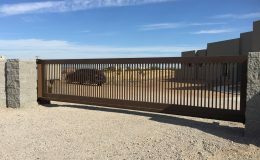 Scott's Fencing Co.,Inc. 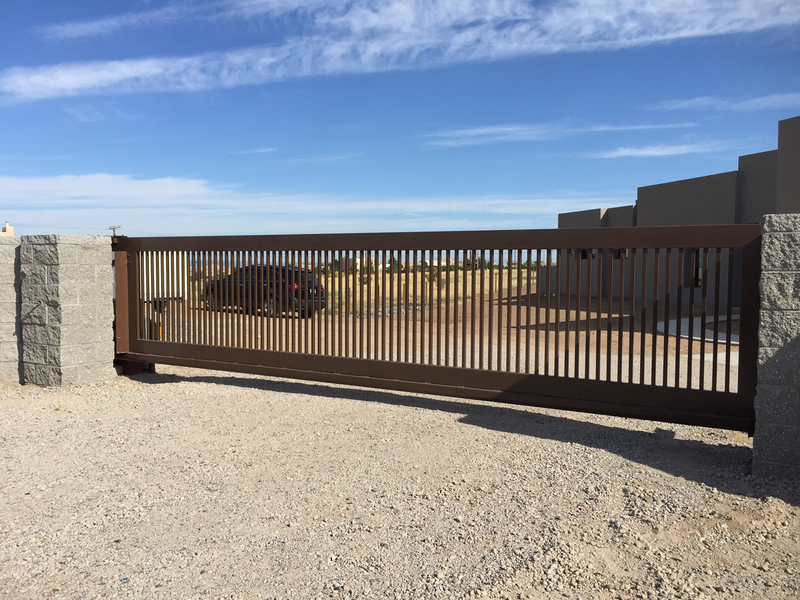 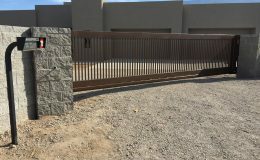 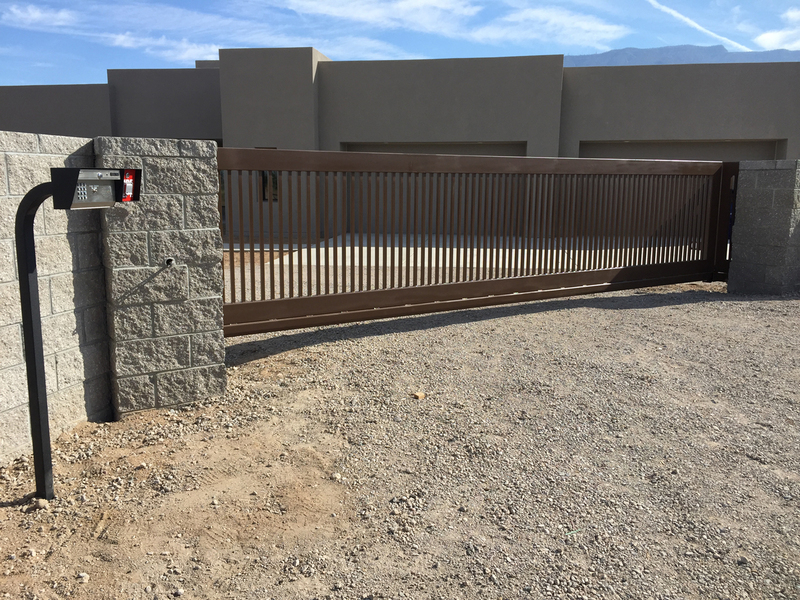 designed and built this custom slide gate for a brand new home in New Mexico. 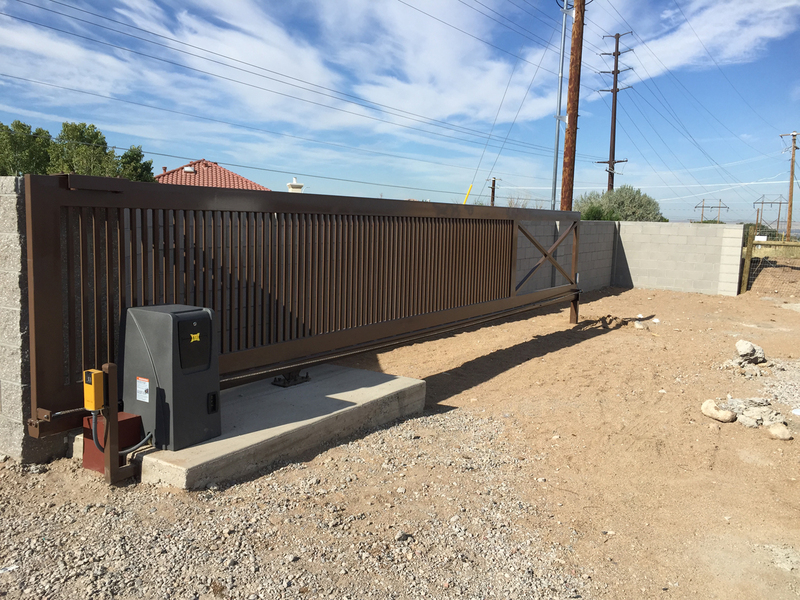 They utilized the Comunello Cantilever Gate System to handle the 30' Wide x 1,500 LB gate. 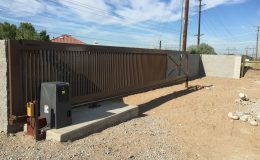 They also installed a Telephone Entry System along with a MAX Controls Gate Operator.